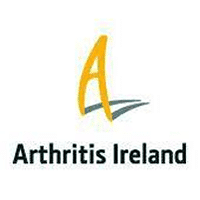 We are delighted to announce that Uccello has partnered with Arthritis Ireland. The Uccello Kettle can now be purchased on their web shop and for every kettle sold Arthritis Ireland gets a contribution of €14.76. We are excited about this partnership as our founder and inventor Andy De Petra was diagnosed with Arthritis in 2011. He understood how everyday tasks had become a challenge because of the pain. Arthritis is an inflammation of the joints that causes pain and immobility, ranging from mild to severe. There are over 100 types of arthritis but the most common forms are osteoarthritis, rheumatoid arthritis (also known as rheumatic arthritis) and fibromyalgia. Although many symptoms of arthritis are shared across the conditions, like pain, fatigue and inflammation, there are many unique to each disease too. In Ireland around 915,000 people, including 1 in every 1,200 children, are living with arthritis, making it the single biggest cause of disability. People of all ages are living with arthritis, not just the elderly – the average age of diagnosis for people with rheumatoid arthritis is 35. No cure exists at present for arthritis and it is not known what causes it. The Uccello Kettle restores confidence and independence to our clients by assisting with pouring hot water safely and steadily with it’s easy to touch lid, tapered spout, removable vessel and perfectly positioned handle.